Shaving isn’t exactly glamorous is it? It’s one of those daily chores that you don’t put much thought into until you cut yourself with a blunt, manky razor. 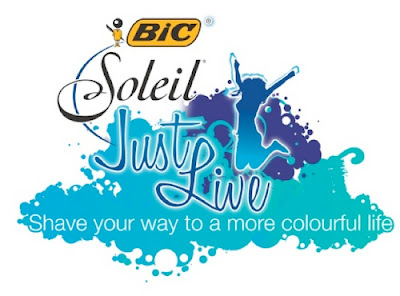 BIC are putting the glamour back into shaving again with their new range of Soleil razors which are all designed with ‘shaver grip technology’ to make the chore easier and more pleasurable. They have four different types of razor, each incorporated with different features to match your personality and shaving requirements… Whoever thought of matching your mood to your hair removal system?! There are four different ways to shave which say a lot about your personality (apparently!) and determine which razor you should go for. Which one are you? In celebration of the launch, BIC’s Facebook page is full of top tips, ways to ‘Just Live’ and even bloggers of the week (watch out for more of that soon!) They’re running weekly competitions to enable you to ‘Just Live’ too, including an amazeballs Christmas competition… They’ve partnered with Dororthy Perkins to offer one winner and 3 friends the opportunity to be spoiled by stylists at DPs, helping them with their Christmas outfits, as well as offering a one night stay at a hotel plus cash for a fun night out. A whole Christmas party sorted then! All you have to do is like them on Facebook and enter your details. Smooth legs and fun times? Sorted.